My name is Jeff Grant, I’m a professional webmaster that has been in the igambling industry for about 10 years. I have a degree in electronic engineering. In my spare time when I’m not working I like dabbling with new network systems, search engines and extreme sports. I’m the head of the well-known gaming guide OCE (onlinecasinoselite.com). I was born in Italy, now living in the United Kingdom. When I’m on holiday I like travelling to the United States. Has been online since 2007. Statistical analysis of the various casino games and covers the latest trends. Reviewed more than 35 video poker game varieties. I've ''dissected'' your website, so to speak and to be honest I like what I see. It's packed with informative articles and a slew of well-written ones. What's the secret behind Onlinecasinoselite.com success and how does your site stay afloat in a market space that's not 'very gambling friendly'? Staying afloat in a competitive space such as gambling can be complicated and restricted to a certain extent. But I must admit I wouldn't have it any other way, I enjoy the challenges the industry throws at me. Sometimes it's a curfball and at times a pleasant surprise especially if my site received a nice boost in the serps from Google. Talking of which, today Google's algorithm places a huge emphasis on quality. A poor site hardly survives the cut especially if it's in a very competitve niche like ours. So, to answer your question. The main concept we use to keep our site afloat and buzzing is theoretically simple (not much in practice): we try to please our visitors-period! We craft articles that are trending and well-researched. Our aim is to encourage our visiors to click beyond the normal 'home page' page and at the same time try and make their stay with us helpful and as pleasant as possible. To be honest I wouldn't want to work in any other industry, the igaming business keeps me on my toes and not one day in it is the same. I see that your site partnered with numerous online casinos. Are there certain factors you take into account before you engage in a partnership with an operator? If yes, please name them? Yes, first of all: honesty. This is our first and foremost policy. There have been numerous complaints about dishonest brands. Before we sign up an online casino or brand we always do due diligence on it first. To us this is mandatory. I think everyone must do this. Not only will this ensure that less rogue casinos enter the sector it will make the industry more secure and profitable for everyone (I hope). 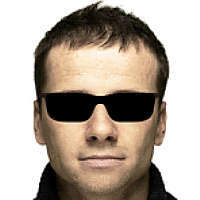 I take into account the type of vendor/s (software) the operator has in its stable, bonuses it offers to new and returning players and their WR (wagering restrictions), in which jurisdiction the operator is licensed, how fast withdrawals are paid out, any previous complaints, recurring promotional offers such as comps and VIP prgrams. Our industry has grown in leaps and bounds especially now that mobile gambling is part of the equation. Is Onlinecasinoselite.com mobile responsive and what percentage of your visitors are from mobile devices? Would you say that mobile gambling is a fly-by-night trend or would it surpass desktop gambling in the near future? Our site was recently redesigned and made mobile-friendly. Yes, it's important for us, why do we want to exclude that slice of visitors (about 26% for us) coming from mobile devices? I don't think mobile gambling is a fly-by-night trend. It is part of the technology that is constantly evolving, so we must adapt. I think in another year or two it's definitely going to surpass desktop gambling especially with new and improved devices such Android. Not only will they have bigger screens but the internet connections will be so much faster than it is today. If an affiliate manager sends you an invitation to join his or her program and its brands are licensed in Costa Rica? Would you accept it, if yes or no please verify your reasons? As mentioned above. I normally discuss their reputation with friends and colleagues (also for this, is always good to keep good relations) sometimes we might end up in a heated discussion. Nah not really but it's good fun-it keeps everyone at the office up to date when it comes to the knobs and dials of our industry. I do not think we should rule out Costa Rica, regretably as a jurisdiction it does have a chequered past. This is why we must excercise caution especially when a brand approaches us and it is licensed in Costa Rica. That being said, I don't think every operator licensed here is guilty. Unfortunately, as it often happens the good programs must pay the price for the dishonest ones. The sign up bonus online casinos offer to new players is still a great incentive to procure their business. Regretably, the 'modern bonus' has become meaner than a junkyard dog since it's 'bogged' down by additional bonus terms that are not always player-friendly. What's your take on this and if it has and I coin the phrase 'stuff you' clauses would you still recommend the deposit bonus to the player? Bonuses are always good incentives to encourage new players to register. As you said, many have too long and fastidious terms attached to them that are not always player-friendly. We try to select the more flexible casinos and we provide exclusive promotions that's tailored in such a way that it offers entertainment value and hopefully the player can win some cash from it. 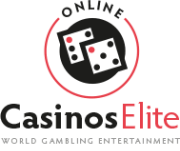 Onlinecasinoselite.com has an in-built rating system that rates each and every single casino on our website. My advice, (not only for us but in general) choose brands with the most positive votes (genuine votes from visitors), which are of course preferred by the players themselves, the bonus is secondary in my opinion at least. During your tenure in the online gambling industry, have you met any celebrities and which individual/s were your role models when you first started out? Do you attend affiliate conferences and what are the burning issues normally discussed at them? Having said that, due to my extreme work commitment I try and spend as much time as possible with my family. Affiliate conferences are very important, good point. Apart from the fact that you get the people 'behind' the casinos you're promotiong one can discuss everything. The main reasons why I like attending conferences: I meet new people that's in the same industry as me, you can forge a new partnership, learn new strategies for your website, you have the opportunity to relate and confront programs that ripped you off and very important, to get an overview of the industry. Online gambling is not as 'nefarious' as it used to be thanks in part to proper regulation. In your expert opinion, do you think our industry is properly regulated and do you propose a legal framework that will regulate it to such an extent that it will have a positive effect on all the industry players? Globally? It's complex and difficult to say, since each country has its own laws and different views on gambling and consequently what might improve the industry in a country, would not work in another. Online gambling, sadly, now depends on the local state laws. I also think as technology evolves this will 'compel' governments to start regulating it because now that mobile gambling has hit the scenes, everybody has a casino in his or her pocket. The majority of portal casino owners still believe that the stats reports affiliate programs give us are a 'watered-down version'. In other words it's not the true stats we see. Do you believe this to be true? I'd appreciate your point of view on this. I think that manipulating data by affiliate programs is possible and it happens (I don't know what percentage). But remember that without webmasters, affiliate programs have a short life span. Any way to counter this behavior is to isolate the rogue and to do this it's important that webmasters discuss programs amongst themselves. If a program is appreciated or treated its players or affiliates badly, speak about it on the proper forum. Don't be afraid to report your unpaid work or wasted efforts, it's your right! The relationships (including stats, revenues, support) we have with affiliate programs, we can figure out whether it is worth promoting them or not. By doing this I can decide if the program is above board or dishonest. Forums like GPWA or Affiliate Guard Dog have always done a great job in this regard. Has your site dealt with any payment disputes or player complaints over the years and how did you resolve it? The day Jeff Grant decides it's time to kick out the deck chair, how would you like to be remembered and what's your lasting legacy to the industry? We never faced disputes to date we are an information portal and have always treated our players with the utmost respect. I think that if you want to do business in this industry you must be honest first. Apart from the ethical point of view, dishonesty does not pay and will never pay. Regarding the day I retire? Maybe one day but not now. How would I like to be remembered? I am not certainly one of those gurus to remember over time and I do not deserve such attention:). I just hope that the little tips and concepts (such as these in the interview) could be useful to actual and future webmasters. I try and make the best of every single moment and not for tomorrow nor the day after. Live is short and we are just dust passing through.